Even if you don’t have school-aged kids, half term can be a great time to try something new. If your usual groups are not running because of the school holidays, why not use this time to visit a local museum, a lovely park nearby or try some crafts, activity or a new walk? This list is absolutely huge and I wasn’t sure how to arrange it so it’s easy to read. And I’ll be updating this right up to half term if anything new pops up so do check back occasionally. Please make sure to share this on social media; thank you SO much. Visit The Hepworth Gallery for interactive family art sessions, Explore & Draw, Light Play, Felt Making, Print Making and more. Check website for each session. At William’s Den, you can take part in William’s Den winter games from feb 9-18th, every day of half term with an opening ceremony on February 9th. For all ages, even adults! Go Ice Skating at Leeds Ice Cube 2018, until February 25th in Millennium Square. Ice rink, markets, attractions and more. Join in with FREE family activities at IKEA Sheffield from Feb 17-25, including story time sessions and crafting. See dates and times here. In IKEA Leeds, they are having dreamcatcher crafts and lavender bags 12-23. From February 13-25, FREE activities every day and things to do at Half Term Pit, National Coal Mining Museum For England. Plus, enjoy their galleries, museum trail, adventure playground, underground tours and more. Eureka! Circus Showtime, Feb 10-25th with professional performances and street performers. On 10-11 & 24-25 they’ll be an interactive circus show. February 10-25, 2018 Season Opening at Kirklees Light Railway, open daily with trains will be departing Clayton West every 40 minutes from 11am until 3.40pm and kids travel half price (£2.75) if dressed in fancy dress. February 10-25, Lambing Festival at Cannon Hall Farm. Tickets are £7.95 per person for all day admission, includes indoor and outdoor play, lamb feeding, tractor rides & more. February 10-25, Dinosaurs! At Tropical Butterfly House, Wildlife & Falconry Centre, meet dinosaurs, go on a dinosaur trail, enjoy dinosaur crafts and eat yummy dinosaur themed food, all included in entry. February 11-26th, Love Birds at Lotherton Hall, Leeds, with a love trail, cafe, make your own box, playground and family activities. 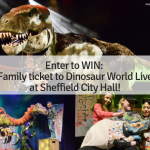 Meadowhall have Dino School fun from February 19-24th, The fact-filled lesson will educate young students on all things dinosaur. All activities are free. Diggerland reopens on February 10th and has discount offers for tickets that are booked online. 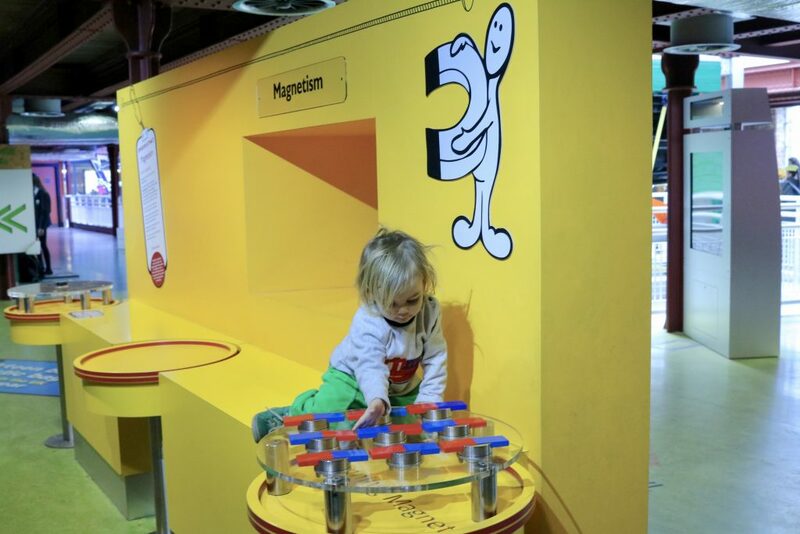 The Wonderlab gallery at National Science & Media Museum in Bradford is free and is full of sensory fun for little ones, we enjoyed it! There’s a free adventure playground at National Coal Mining Museum For England in Wakefield & it’s pretty good! 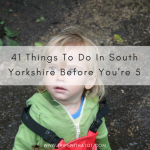 If you go to Wakefield there is a few things you can do to make it a whole day out. The Hepworth Gallery is free and has family art sessions, playground outside and is a nice wander around, then in Wakefield there is a museum and children’s library, in the same building is a cafe and they have children’s activities/games on. This is on my to-visit list as I’ve heard lots about it. For a fantastic free day out you have to try Clifton Park & Museum in Rotherham. Playgrounds are great and include adventure playgrounds, skating area, toddler play park, sand pits, rides, mini golf, cafes, museum, rock garden & much more. Matlock is a really nice day out and you can totally do it on a budget. In Matlock there is a lovely park, Hall Lay’s Park, but Matlock Bath is my favourite. A riverside walk and exploring the “fairytale” gardens is something I really loved last summer and you could totally do it this time of year. See the boats, enjoy the playgrounds along the way and finish up with some fish & chips. 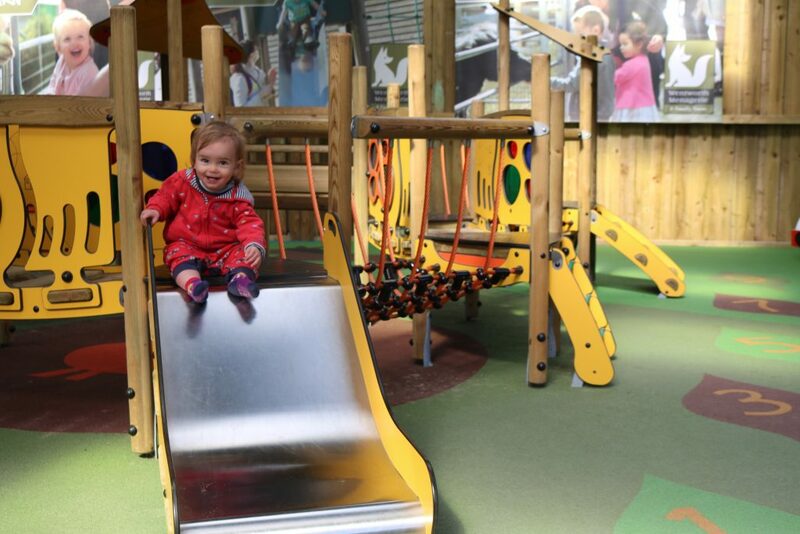 On the riverside walk there are 2 play areas to encourage little ones to keep going. The “aquarium”, too, in Matlock Bath is very cheap (I think around £3 per person) and although dated is worth a visit, it’s definitely unique! 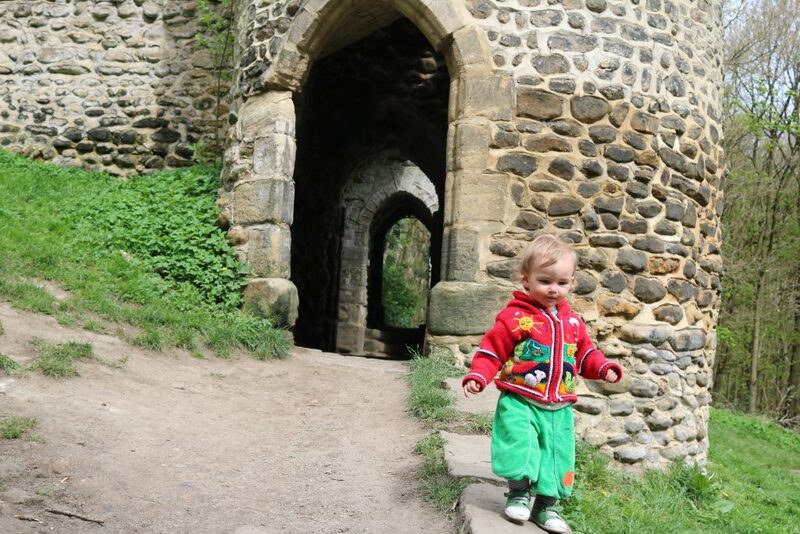 Why not find the hidden playground in Hathersage? It’s just behind the outdoor pool and it really lovely. Visit Elsecar Heritage Centre in Barnsley, it’s free and enjoy canal walks, a fantastic playground nearby, old heritage train station, museum and lots more. There’s a lovely little cafe at Worsborough Mill & Country Park, it’s really cute and homemade. 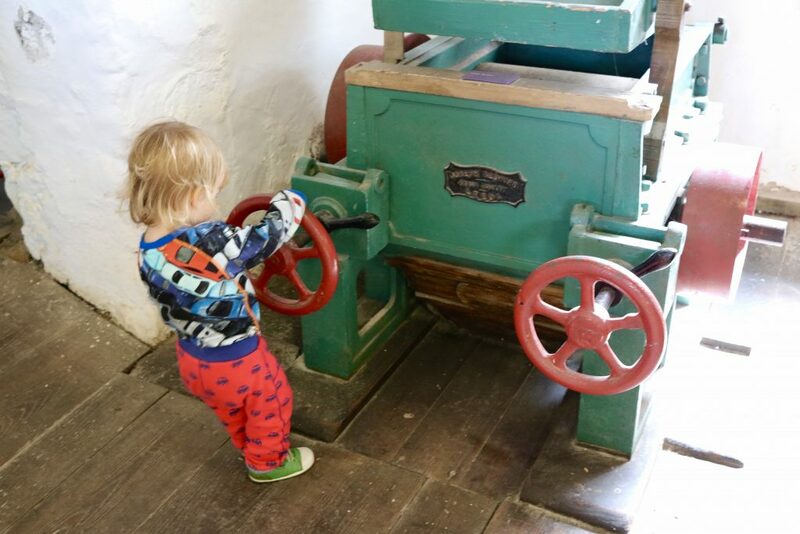 You can make a day out of being there and it’s FREE – with a walk around the reservoir, look inside the museum at the old milling machines and have fun in the playground. 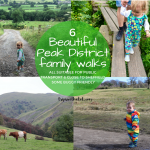 Choose one of these wonderful Peak District family friendly walks and get outdoors. Visit the National Railway Museum in York; it’s completely free & there’s so much to see. There is a miniature train outside next to the playground, picnic areas inside, indoor little toddler play area, lots and lots of huge trains to see and it’s just next to the train station so why not ditch the car and go on an adventure? February 10-18, Join a fairy catcher and find the fairies along the fairies garden trail at Brodsworth Hall. Regular timings throughout the day, approx 45 mins long. February 10 – Try this Slime Workshop at Budding Picassos ceramic cafe in Sheffield! February 10 – Cooking Tots toddler and parent class at Poppie’s Bakehouse, this theme is Sweet Heart Jam Drops, 10am-11:30am. February 10-18, Explore Stockeld Park which is open for February Fun during half-term, includes adventure playgrounds, outdoor skating rink, indoor play area, maze, enchanted forest, comedy show and much, much more. February 10-18 – Half term activities at RSPB Old Moor & Blacktoft sands, with a different activity every day including spring trail, wild challenge, free Friday & lots more. February 10-18, Enjoy a free trail for February Half Term Family Fun – with Mud & Machines at RHS Garden Harlow Carr, Harrogate. 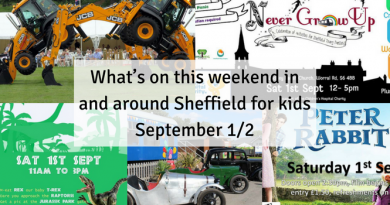 Take part in crafts, worm day, have a photo with giant digger, garden detectives and more. Check all dates/times for specifics here. February 10-18, Join courageous caveman Dug and his trusty sidekick Hognob for a mammoth half term full of free activities and events at National Science & Media Museum, Bradford. February 10-18, FREE children’s funfair, story telling and book swap at The Arium, Leeds. February 11, Toy Story Dinner and Crafts – With a Visit from Buzz!! at The Sticky Bun Cafe. 10:30-12:30, £8.50 per little one which includes their lunch, crafts, play and photo opportunities with Buzz Lightyear too. 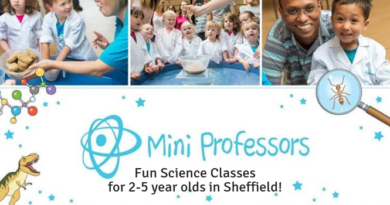 February 11 – Circus Mini’s at 9:45am, Sheffield S4. Early years circus workshop for 4-6 year olds. February 11, Magical Unicorn Day at Thorton Hall Country Park, North Yorkshire near Skipton. 10am-4:30pm with unicorn rides, play barn, cupcake decorating, treasure hunts, meet & greets, plus all day entry to the farm for £7. February 11 – Open day at South Yorkshire Transport Museum in Rotherham, 10:30-4:30pm. Wondering what it’s like? Read our review here. February 12-23, British Wildlife Week at Wentworth Garden Centre, in the family farm including activities such as crafts, trails, bug hotel, animal handling and bouncy castle. February 12-16 Experience Barnsley Museum have family craft week with free drop in workshops 11am-2pm daily. February 12-18, 34th Jorvik Festival in York recognised as the largest festival of its type in Europe, with LOTS of family events going on such as Poo day!, birds of Prey, have a go at sword combat, little diggers, have-go-archery and much more. February 13, Enjoy getting messy at Pinch Pot Clay Vase Making for Under 5’s, 10:30am-12 £3.00 per child. February 13-16, Happy New Year of the Dog at Leeds City Museum, free arts and crafts daily, drop in 11-12 and 1-3pm. February 13-15th, Various family fun happening at Cannon Hall Museum including The Fairies of Fairyland and Karen will show you how to model, sculpt and decorate your creations on the 13th (free), Family Baking Workshop on the 13th 1-3pm £12.50 per child, and Children’s Sweet Treats on the 15th, 1-2pm, £6.50 per child. February 14- Make Valentine Bird Feeders at Worsborough Mill & Country Park. 11-12, £4.50. Enjoy a family stroll and the playgrounds, too. February 14-15, Meet Paddington™ at Keighley and Worth Valley Railway, he will be at regular intervals throughout the day at Oxenhope Exhibition Shed, just turn up and pay on the day. 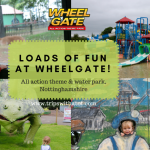 February 14-18, Fab Family Fun at Light Water Valley, ideal for 8 and under with lots of fairground rides, bird of prey centre and animal farm. Discounted prices at £6.75 due to whole park not being open. Get interactive at National Emergency Museum and sit in a real ambulance! These 10 magical walks with fairies and trolls in Sheffield are beautiful, and all free. 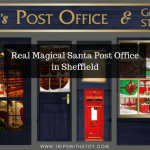 Explore Sheffield City Centre; there’s a few hidden gems you might not know about. 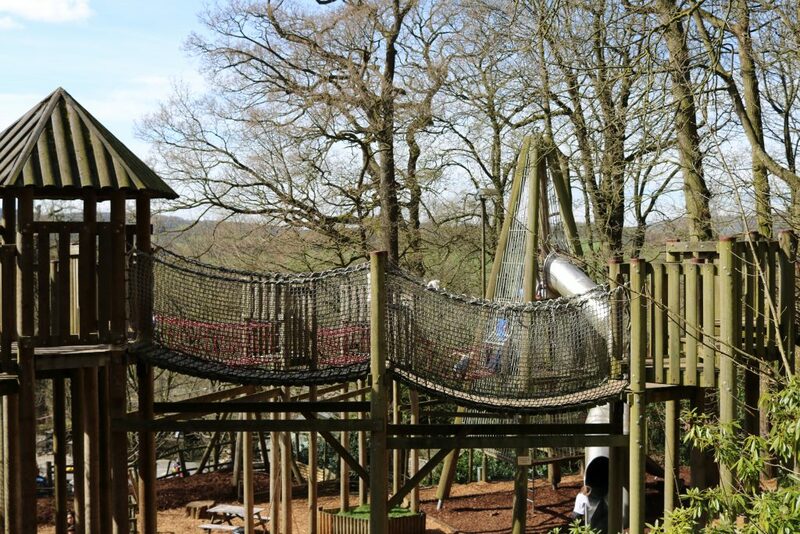 Speaking of hidden gems, why not find this secret playground in Graves Park? 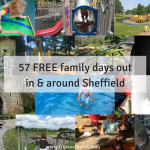 Heeley City Farm is one of my favourite free and easy days out in Sheffield, there’s a cafe & little playground but be sure to check out the local area too with Heeley People’s Park just across the road. Feed the ducks at Forge Dam and walk to Endcliffe Park. 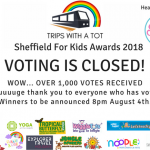 We are lucky to have so many amazing playgrounds for kids in Sheffield. I wonder if you can fit in all the top 5 during half term?! February 15-17, Little Farmer Days at Boston Park Farm, trailer rides, face painting, animals, free farm crafts and more. Indoor & outdoor play costing £1 for adults, £5 for Children (3-13 yrs) and £3 for toddlers (1&2 yrs). February 17-18 – Visit the Seaside at Scarborough & see the Early Man Quest event at Scarborough Castle, discover Dug, Hognob and the rest of his tribe. Follow the clues. Prize for those who complete! 10-4pm. £1. February 17 – Take your teddy along to get some special care at Teddy Bear Hospital at Weston Park Museum, 10-4pm, free. February 17 – 25 – February half-term spotter sheet at Longshaw Estate, National Trust. 10:30am-3:30pm, £1 a trail sheet. February 17 – 25th – Enchanted Fairy Trail at Rufford Abbey Country Park, trail sheet only £1. And on the 21st, take part in the Build a Bird Box for National Nest Box Week, £8 per box made. 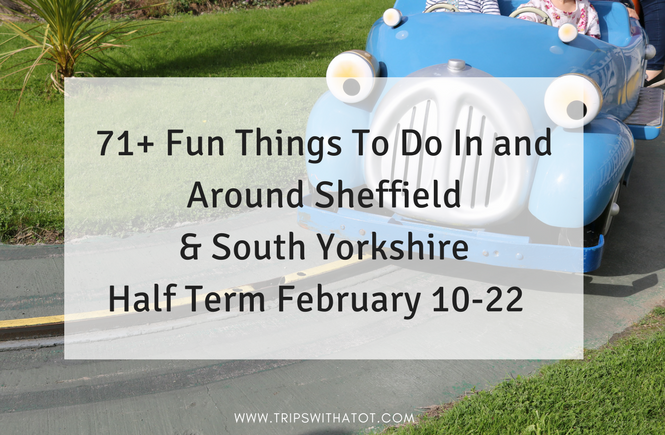 February 17- 25th – Have fun at Chatsworth House Farmyard & Playground during this half term, with pirate crafts, pirate tractor ride, animal handling and more. February 17-18th – See exotic creatures at Matlock Farm Park Reptiles event, included in entry to park. 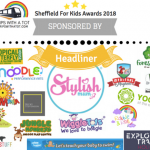 February 18- Messy fun at Rumble in the Jungle – Sheffield (Walkley) at 1:30pm. February 18 & Feb 24 – Introduction to Family Trail Cycling at National Trust Nostell, 10-3pm, £1 per person. February 19-23, Half term crafts and fun at Hardcastle Craggs National Trust, with wild art, make a bird feeder, campfire cooking and making log animals. February 19 – Fun Family Session at Glen Howe Park, Sheffield. 10-12pm, £5 per child. Come join us for a woodland walk, play on the rope swing, mud slide, mud kitchen and part in a craft activity. February 19 – Half term slime making workshop at Budding Picassos Ceramin Cafe, Sheffield. 10am, booking essential, £15 includes juice & biscuits. February 19-23 – Step back in term with Medieval Mayhem at Bolsover Castle, 11-3pm. February 20-23 – Children’s Holiday Crafts at Sheffield Manor Lodge, 11am-3pm daily, £4 per crafter. Includes outdoor play, sand pit, ruins and dressing up. February 20 – Edible messy play is on at Messy Mix Up Family Event at Handsworth old refectory, 10:30-11:30 for 6 months-4 years, £7 per child. February 20 – Skate with Sheffield Steelers at Ice Sheffield, 1-2:30pm, usual skating rates apply or discounted offers for season ticket holders. February 20- Muddy Tots fun day 1-2pm, outdoor fun aimed at ages 1-4years in Mosborough, £5, under 1’s free. February 20 – Outdoor fun at Ecclesall Woods with Sheffield Wildlife Trust, enjoy their Wild Play sessions for toddlers daily 20th at 10am-12pm and 1pm-3pm and on 21st 10am-12pm. £3 members or £5 non members. 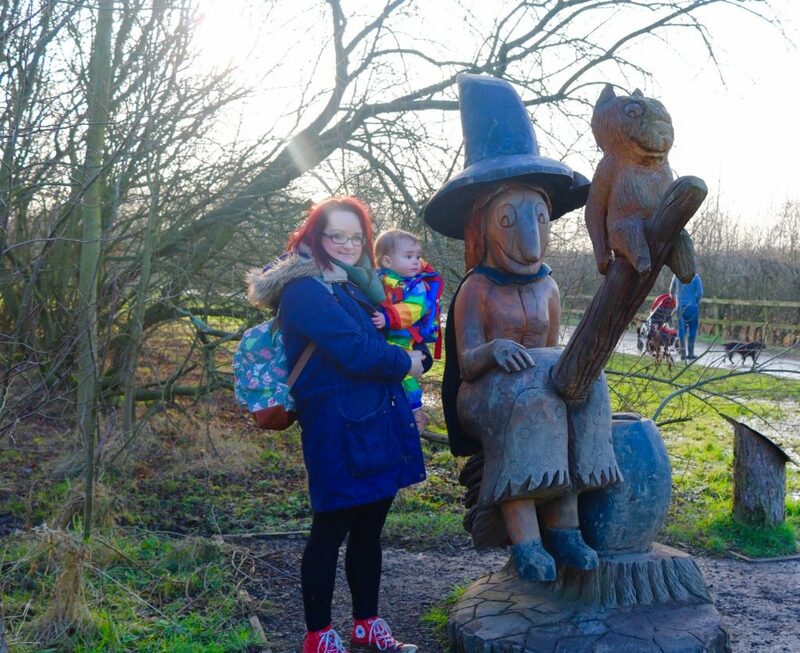 February 20-25, Do the free room on the broom trail at Anglers Country Park and make themed crafts in the visitors centre. February 20 – A Day in the Life: The Victorian Kitchen at Wakefield Museum, free, 10am-2pm. 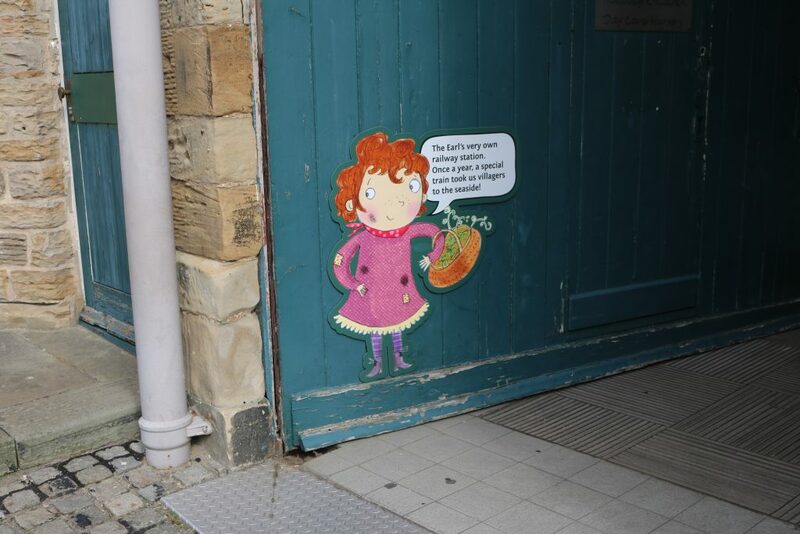 Plus, visit the Children’s Library, Hepworth Gallery (free) or Room on the broom adventure trail! February 20-22 – Interactive session: Discovery day – Children for change at Weston Park Museum, 12-3 pay as you feel. February 21 – Listen to Stories by the Fireside at Abbeydale Industrial Hamlet. More details coming soon. February 21 – Mini Ravers Frozen Party with Elsa, Sheffield, 11-1pm for ages 0-10. February 21 – Meet the animals and enjoy free crafts at February Farm Fun at Whirlow Hall Farm, 11am-3pm, £3 per adult. 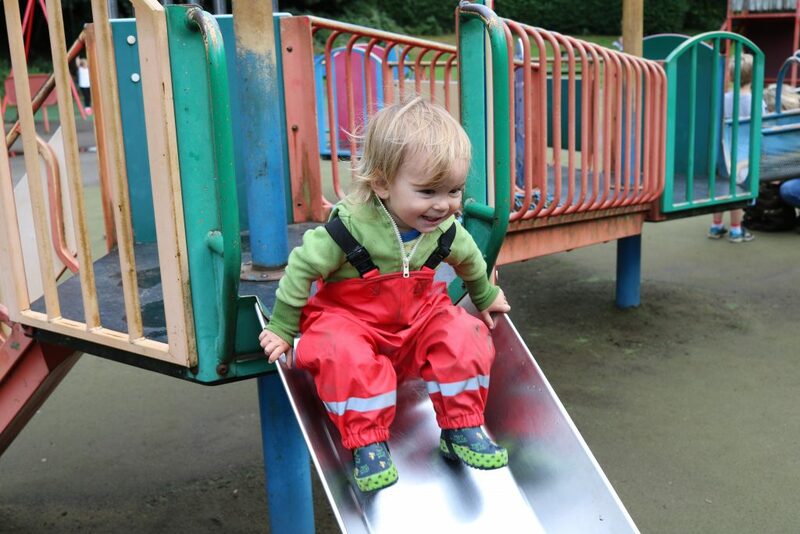 February 22 – Wild Play at Greno Woods, 10am-12pm £3 member or £5 non member, under 2’s free. February 22-23 – Free creative writing workshops with SHU in the Winter Gardens, with costume making, puppetry and lots more, 10am-3pm. Looking for what’s on the weekend of February Saturday 24th & Sunday 25th? Make sure you subscribe to get notified of the weekend roundup for that weekend published Wednesday 21st! I post videos on Facebook and have an active private community group to share your days out and recommendations. Please join us! ← Come play with us at the new Playmania Sheffield!